Available in CD format or as a digital download, Ultimate Dance Workout is a female focussed dance release from the famous dance and house club label. The three disc CD boxset features some of the biggest and best dance tracks from the past few years, all of which are guaranteed to get you motivated and moving on your new and improved fitness regime. Disc 1 is jam packed with tracks from some of the biggest names in pop and dance including Sam Smith, Florence & The Machine, John Newman, Clean Bandit and Disclosure. Fans of Ministry of Sound’s previous workout releases will be pleased to see Eric Prydz’s Call On Me on the playlist, as well as Artful Dodger’s remix of Sisqo’s 1999 hit Thong Song. In between the hits is a selection of tracks from newer, rising stars such as Waze & Odyssey and Karen Harding. For those wanting to take their workout to the next level, disc 2 boasts plenty of high energy tracks from music industry heavyweights such as Avicii, Lana Del Ray, Swedish House Mafia and Ellie Goulding. Alesso’s hit track Heroes (Feat. Tove Lo) is sure to get you moving, as is Axwell and Sebastian Ingrosso’s Something New. There are also some cracking tracks from newer talent such as Tchami and Hannah Wants. Disc 3 starts to wind things down with tracks from artists at the top of the dance charts including Jessie Ware, Kokiri, Alex Adair and Jess Glynne. Like previous Ministry of Sound releases, what makes Ultimate Dance Workout so special is the continuous mix with no breaks between tracks, making it the perfect soundtrack for maintaining a rhythm when working out at the gym. 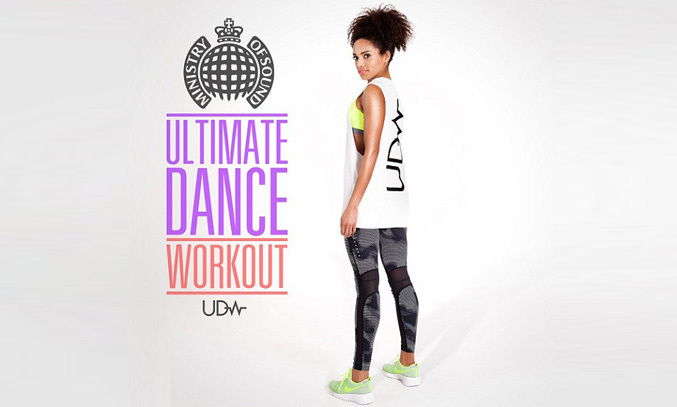 Whether you’re looking for a soundtrack to play at rooftop summer party or a high energy release to work out at the gym, Ministry of Sound’s Ultimate Dance Workout is the soundtrack for you.